See HOW TO BORROW for instructions & policies. Though TERRA 4K as entry-level cine camera, it features high speed 4K CMOS image sensor with Dual Native ISO(3200/800): it captures low-noise and wide-latitude images in regular scenes or low-light environment, easily. TERRA 4K is capable of Capturing and Recording 4K+ as 4096×2700 RAW (.krw) or Apple ProRes without external recorder. Its vertical resolution is up to 2700, more 30% than regular 4K UHD/DCI resolution, easier for 4:3 anamorphic shooting. With the advanced CMOS process technology, the CMOS sensor has lower noise level, half of TERRA 6K. TERRA 4K employs a whole-new CMOS image sensor featuring with Dual Native ISO: 3200/800. It captures low-noise and wide-latitude images in regular scenes or low-light environment, easily. The latitude reaches up to 13+ stops at regular 4K and cropping mode, and even more at 2K output when whole frame (using all pixels and oversampling down to 2K). The native frame rate of CMOS image sensor of TERRA 4K is up to 100fps, so the TERRA 4K can record 4K wide up to 100fps, 3K wide up to 150fps, 2K wide up to 240fps. At the same time, its rolling effect is very low due to its high native frame rate, even running at regular fps. For TERRA 4K, the fps at 4K wide can be boosted up to 100fps due to its high native frame rate, then the whole frame 2K wide can work as 100fps, cropping 2K wide can work up to 240fps. As of quick-mo, the minimum fps is down to 6fps. 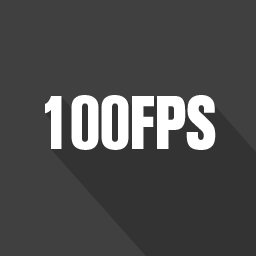 Any custom sensor fps can be set between lowest and highest fps with step of 0.001fps. TERRA allows compressed RAW cDNG recording or Apple ProRes recording directly. 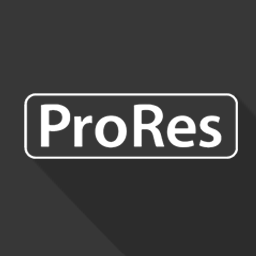 For ProRes codec, it does not only support regular 2K/4K ProRes, but also has ability to record ProRes 422HQ for all resolution and all fps which the TERRA supports, 4K wide 100fps ProRes, 2K@240fps. 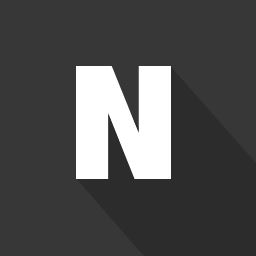 Apple ProRes as an industry standard is widely supported by DI/NLE softwares. TERRA with ProRes speeds up both shooting and post-workflow at the same time. CinemaDNG returns to TERRA 4K, Kine camera again with configurable compression ratio! TERRA 4K can in-camera record compressed RAW with CinemaDNG format, and the compression ratio is configurable, from 3:1, 5:1 to 7:1. Davinci Resolve natively supports CinemaDNG, so that you can directly import, edit and grade the CinemaDNG footage shot by TERRA in Davinci Resolve! No matter 3:1, 5:1 or 7:1, every format is able to achieve super high quality image and room for post-production. 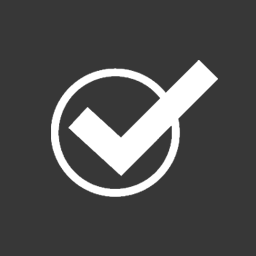 KineRAW (.krw) codec, cinema-level codec is developed by Kinefinity with great efforts and resources. KRW2.0 is a compressed RAW with compression ratio from 2:1 to 10:1, so that it can be recorded as RAW when very high resolution and very high frame rate. If compression ratio is 3:1, one 500GB KineMAG SSD could record around 100 minutes 4K RAW clips with its data rate slightly larger than ProRes422HQ. It really fits 4K, 6K recording and HiSpeed recording: reserving max grading room, saving much storage spaces and easier data backup. KRW 2.0 might be available by firmware update in 2019. Oversampling + Crop mode + KineEnhancer = infinity combination of resolution, fps and framing. With the help of in-camera oversampling, TERRA records to 4K ProRes, but also 2K ProRes with sharper and cleaner images at S35. The framing can be from sub S35 up to sub full frame if using KineEnhancer, while cropping mode can boost the higher fps. TERRA supports above three modes to get multi-framing and multi res, at different fps. TERRA 4K provides 4:3 frame as 3700×2700@50fps. and Aspect ratio of 4:3 matches anamorphic lens with factor of 2, so that it will gain CinemaScope frame as 8:3(2.66:1). With the desqueezed process in post-workflow, it can reach up to 7400×2800/7200×2700/8640×3240 (8K) CinemaScope! KineMOUNT is the native lens mount of TERRA. It provides enough possibility due to its short FFD(15mm). New KineMOUNT is re-designed to be light with electronic contact (active) in order to support new PL mounting adapter with /i tech and new cordless EF mounting adapter, EF mounting adapter with KineEnhancer, new SONY FE/E mounting adapter, EF/PL mounting adapters with electronic ND(e-ND), etc. A group of whole-new accessories are designed specifically for TERRA, so that TERRA can be configured for one-man job or a professional filmmaking crew. KineBACK-W provides more than SDI monitoring, XLR 48V audio, V-mount plate, regulated DC output, timecode sync and 3D sync in one little module. KineMON as fullHD 5″ monitor is powered and is fed video from TERRA body by only one cord. SideGrip, as new handgrip w/ powering and control from GripBAT 45Wh(BP-U30 compatible) battery, more than one hour for usage. KineBAT 120Wh as Super compact V-mount battery provides over four hours to TERRA. KineKIT-TERRA from Movcam takes into account of TERRA in different scenarios, such as hand-held, tripod, on shoulder, gimbal, high and low shooting angles, etc., which makes it best choice for TERRA. Create, no boundaries. As a small and powerful cinema camera, TERRA is designed from bottom to top to facilitate filmmaking from shooting to post workflow. The value and flexibility from the TERRA lets you put more of your production budget and energy into what goes in front of the camera. It’s a serious film-making tool with real Digital Cinema Camera features at such a price within reach.